For a split second it looked like the young South Sudanese woman and her baby, swaddled in a cloth-carrier on her back, were taking a breather from the heat of the day under a tree. But then Mary, 25, a mother herself, took a second look. The two motionless figures were awkwardly propped up against the trunk. The bodies were stiff. Both had died from dehydration. 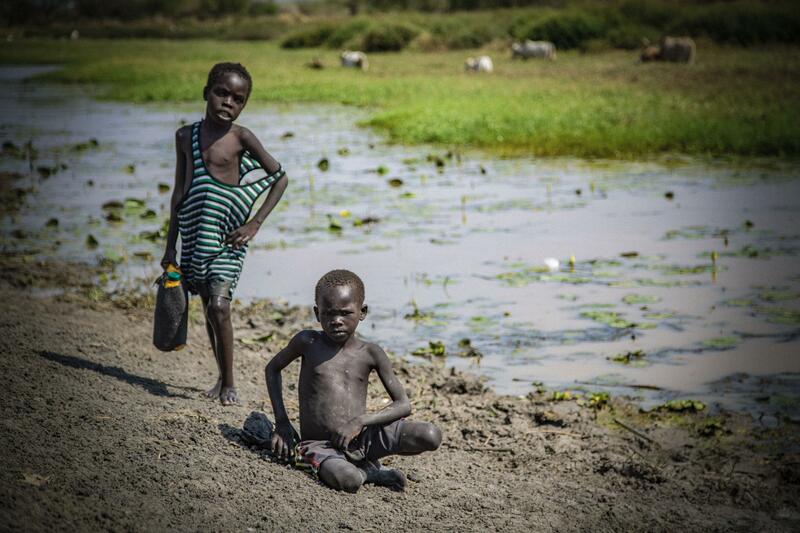 This is Boma, a state in South Sudan that is suffering from one of the country’s worst water shortages. The world’s youngest country has been ravaged by a brutal five-year civil war that has killed over 400,000 people and pushed its population to the brink of famine. That conflict nominally ended in September, with South Sudan’s president, Salva Kiir Mayardit, and the rebel group led by Riek Machar signing a historic peace deal. 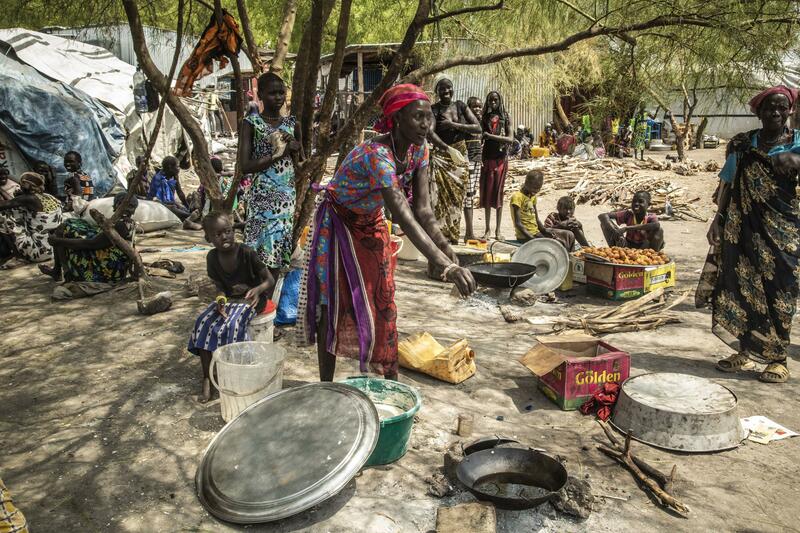 But six months on, a simmering humanitarian crisis is threatening to unpick the tense truce. And water, though often ignored, is now at the heart of a new wave of unrest. Nearly 80 per cent of the country has no access to clean water, according to the government water authority, which said vital infrastructure has been destroyed in the fighting. With climate change driving up temperatures, water resources for cattle and agriculture are also in dwindling supply. The shortages have sparked armed conflicts between several of the country’s 60 or so ethnic groups and could be the tinder box for fresh conflict in the future, officials have warned. Caught in the crossfire are women, who are responsible for fetching water supplies even if it means making long and dangerous journeys. Mary says she found the bodies along the dirt track that leads to a water pump from Gumuruq, a remote village only accessible by helicopter and a long drive on dirt track roads. In this area, dozens of bore holes were destroyed in the civil war and so it is a treacherous eight-hour hike to the nearest water pump. Along the way, women risk dying of thirst or hunger, as well as being attacked and even raped by men, who in the searing heat of the dry season ambush them for their jerry cans. This, aid agencies say, is not a unique phenomenon for South Sudan – across the world, women are often the water fetchers and face similar violence. Mary and five women who sit beside her all say they have been ambushed fetching water. One had been raped at gunpoint. “I personally know 10 people who have died from thirst in the last 12 months, at least three already this year,” she tells The Independent from a tukul, or mud-packed reed hut, in her village. 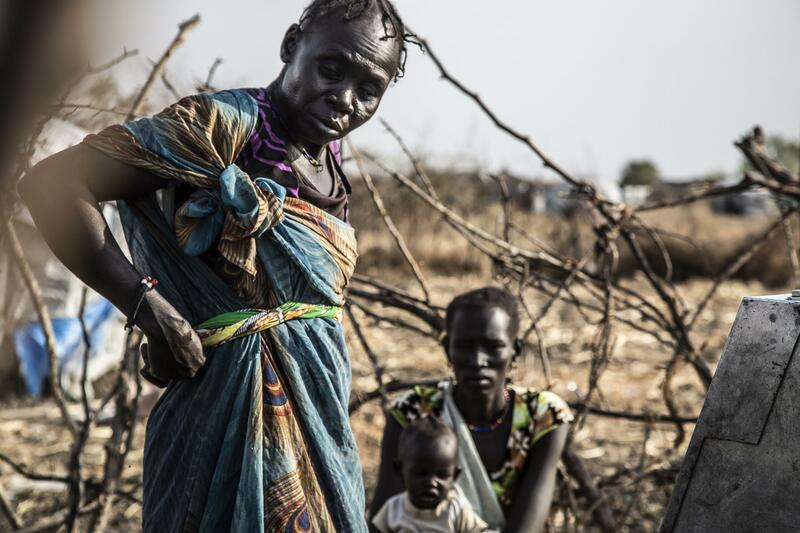 South Sudan is limping through one of the world’s most severe humanitarian crises. Four million people have been displaced internally or externally, while more than two-thirds of the country, or 7.1 million, rely on aid to survive. Last month, the United Nations said that 1.5 million were on brink of starvation, and tens of thousands are already in famine. Despite the peace deal, battles still rage in southern regions between the army and a rebel force that refused to sign the September deal. Even the signatories to the agreement are wary of each other. The deal set a deadline for all sides to screen their respective forces and unify them into a national army before the formation of a unity government in May. None of these steps have been completed yet. But amid the mesmerising overlap of woes, water should not be an issue. Officials in South Sudan’s water authority say there is more than enough water to serve the population of just 10 million. The country is blighted by floods for more than half of the year and is crisscrossed with rivers, including the White Nile, one of the two main tributaries to the Nile. It also straddles three transboundary aquifers. And yet according to Oxfam, which runs several water, sanitation and hygiene programmes (WASH), around 6 million people, or three-quarters of the population, are in need of help getting access to clean water and sanitation. Millions are at risk of waterborne diseases such as typhoid and cholera, which spread unchecked in rural communities that lack access to basic sanitation. Armed groups have deliberately targeted water infrastructure during the years of fighting as a way of destroying the communities of their enemies. There are scant resources to rebuild these water holes: Oxfam and others say their WASH programmes are woefully underfunded. While Alier Ngongoka, the water authority chair, said only 0.1 per cent of the government budget is allocated for water. Ratcheting up pressure is climate change. Seasonal rivers are drying up early, forcing people such as those in cattle herding communities to be on the move, sparking mini local wars which the water authorities fear could bleed into the national conflict. Cattle raids and related child abductions are on the rise. Four million people have already been internally or externally displaced from the five-year civil war. But Ngongoka warned that if nothing was done to improve the water crisis, within two years there could be millions more on the move. 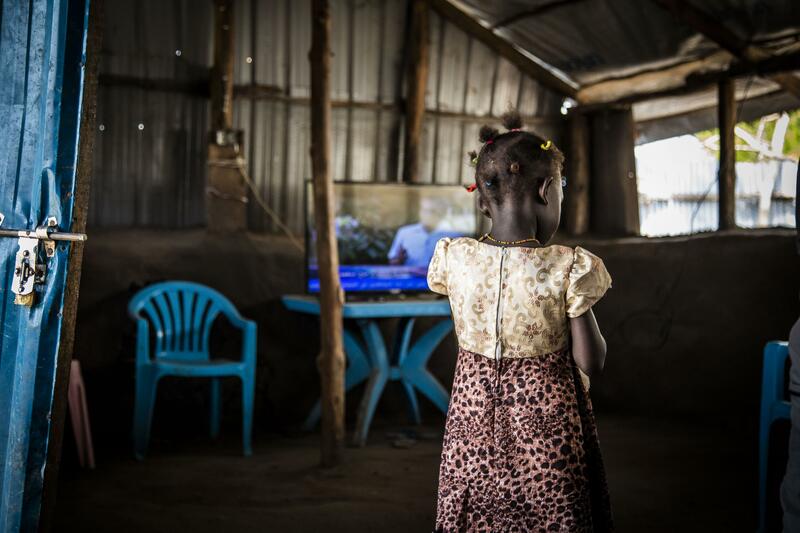 Rural communities would be forced to move to urban areas, piling pressure on scant resources at a time when South Sudanese refugees are also beginning to return to the country. 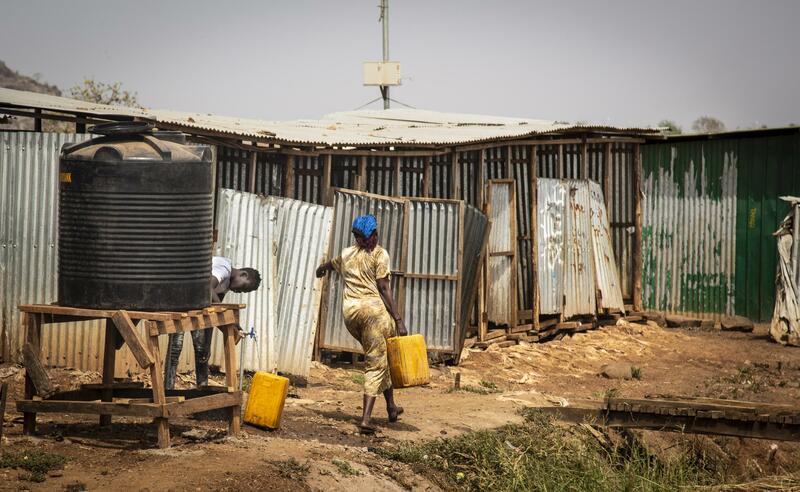 Compounding the problem is the fact that as South Sudan has no storage facilities to collect and store water, there is also no data to ascertain the real size of the crisis. And that is why the government is hoping to build a large dam on the White Nile just south of Juba, to also produce clean energy. But that is a controversial decision. Egypt and Ethiopia, both Nile Basin countries, have nearly come to blows over the Grand Ethiopian Renaissance Dam (GERD) on the other main tributary: the Blue Nile. Egypt’s population heavily relies on the Nile and so Cairo is terrified that Ethiopia’s dam, the largest hydropower plant in Africa, will drastically reduce water flow downstream and impact its national security. The decade-long spat has yet to be resolved. Egypt has talked about the GERD being a “national security issue”. A dam in South Sudan, on the other Nile source, could spark an international conflict if not carefully handled. But for now the authorities are more concerned about domestic conflict and violence. In Pibor, the regional capital of Boma where Mary is from, local governor John Joseph warns that people have already died in his state over water. Opposite his battered offices, across a dirt-track compound, local gender minister Lydia Agolory keeps a watchful eye over a toddler boy and a girl, who is barely five years old. The children were abducted from their families in 2017 by cattle raiders but were only recently found. Child abduction has become a business in the region as kidnappers are able to take children during raids and sell them for livestock to families who are unable to conceive. But bizarrely the local authorities have linked the spike in abductions to the water crisis. Cattle raids are increasing as shepherding communities are on the move looking for water resources or new livestock to replace those lost to thirst, leading to direct conflict with rival ethnic groups. One of the main side businesses is taking children along with the cows. These two children were too little when they were abducted to know their real parents, names or home towns and so are upset and confused. Agolory explains it is too dangerous to keep the pair in Pibor, as they are at risk of being rekidnapped by the disgruntled family who paid 30 cattle for each of them. The children are put, sobbing, on a tiny propeller plane bound for the capital. “In so many ways, women and children are worst impacted by the water crisis,” she adds. Back in Gumuruq, Mary shows where the scars stutter across her arms and legs from when she was attacked by armed men while fetching water last year. They flogged her so hard with sticks she was carried to a field clinic unconscious. She then spent 10 months in hospital recovering and was only recently discharged. 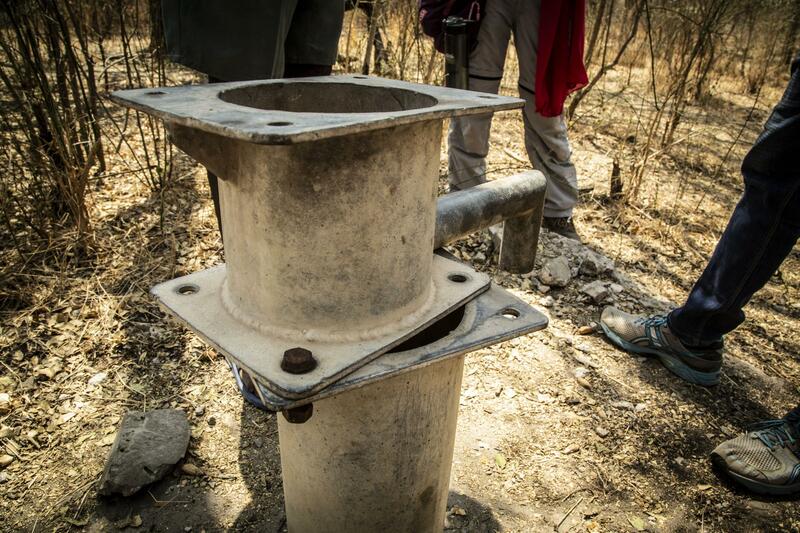 “Since that time until now I am now too weak to get water,” she says. “I still feel pain every day,” she adds, before trailing off. Elizabeth, 35, who sits beside her, says she was raped at gunpoint in February 2016 by a gang of men who, she says, hide in the bush preying on women fetching water and firewood. “Two men demanded we lie down on our faces, they told me they would kill us if we didn’t do what they said,” the mother-of-three explains. “I had no power and had to surrender myself to him,” she adds. But the situation is even worse in Manyabol, a two-hour drive from Gumuruq, along a recently cleared dirt track. The village is so remote the commissioner of the area makes a point of repeatedly saying we are the first white people to set foot there. Scrambling through the bush, heavy with birdsong, villagers from the Murle ethnic group that live there point out the water pumps that were destroyed in the fighting a few years ago. Members of the Dinka in Bor, a neighbouring but rival ethnic group who took an opposing side in the civil conflict, had bulldozed all the water pumps in the area with armed vehicles to devastate the local community, according to local officials. With resources stretched to breaking point, no aid organisation has been able to make it this far to repair the damage. That day, a team from Oxfam were visiting the area to assess the damage. “It was a deliberate attack to try to destroy the town, where 2,000 people live,” says loca commissioner Jacob Labousho. “But we hope now there is peace agreement, we can move on from this and get assistance to rebuild. Marconi Kuju, a member of the Oxfam team, says 100 water pumps were destroyed in that area alone, forcing women to walk up to 10 hours for water. “It is an issue of money, there is a big funding gap for WASH programmes because it doesn’t attract the same level of attention as other crises,” he says. Oxfam has only received funding to build two new bore holes this year. Their teams were busy drilling one, about four hours away near the capital Pibor. It’s a race against time: the water level is dropping each year, meaning they have to dig even deeper, making the drilling process more expensive. At one pump rehabilitated by the aid organisation last year, a line of women, who have walked for hours, start the laborious process of pumping water into dozens of jerry cans. It is exhausting work. In the searing heat they take turns to throw their full body weight on the metal lever to fill the canary-yellow containers. As the pressure mounts, a fight breaks out. Only two of the six pumps in this area are working, which is causing problems because the population is booming. 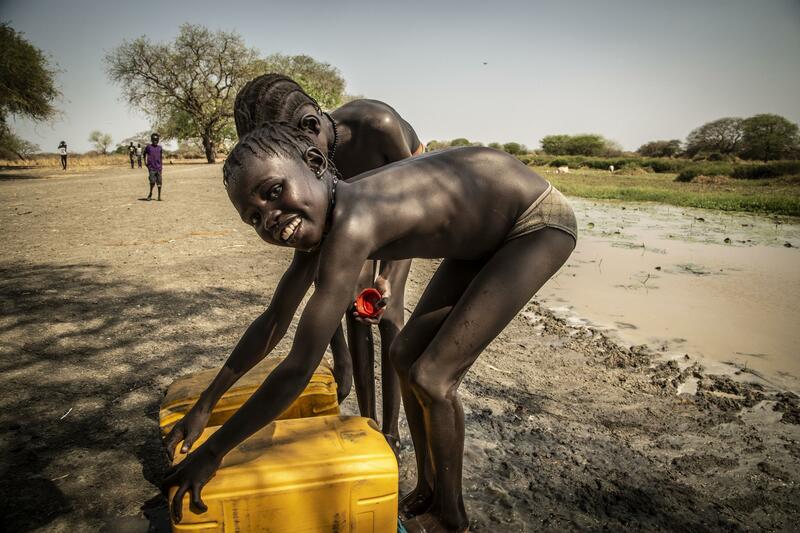 “The water levels are too low so it’s hard to pump – it can take an hour to fill a single jerry can,“ Nachunalan, 43, says, taking a breather by a patch of reeds.